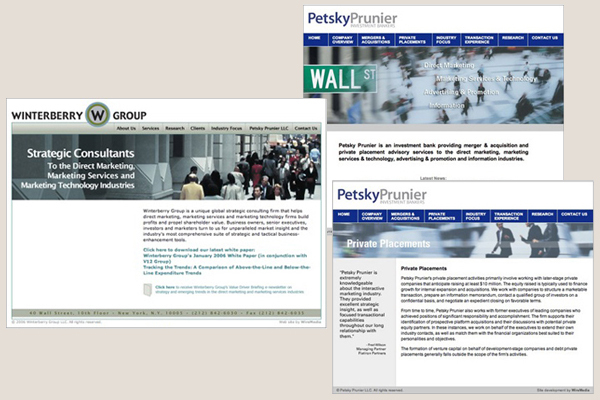 While at WireMedia Communications, I brought in strategic consultants The Winterberry Group and investment banking firm Petsky Prunier as new clients. I worked as part of a small WireMedia team to overhaul the backend of each client’s website, recoding each to meet web standards. I then became the sole client liaison to both companies, providing ongoing site maintenance and a variety of web content including images and flash graphics. 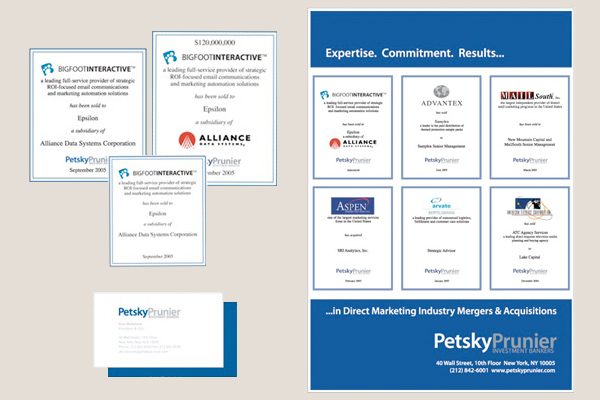 For Petsky Prunier, I also provided a variety of print projects including ads and signage for conferences.